The Lessons for this Sunday can be found here. I worked most closely with Genesis 32:22-31. 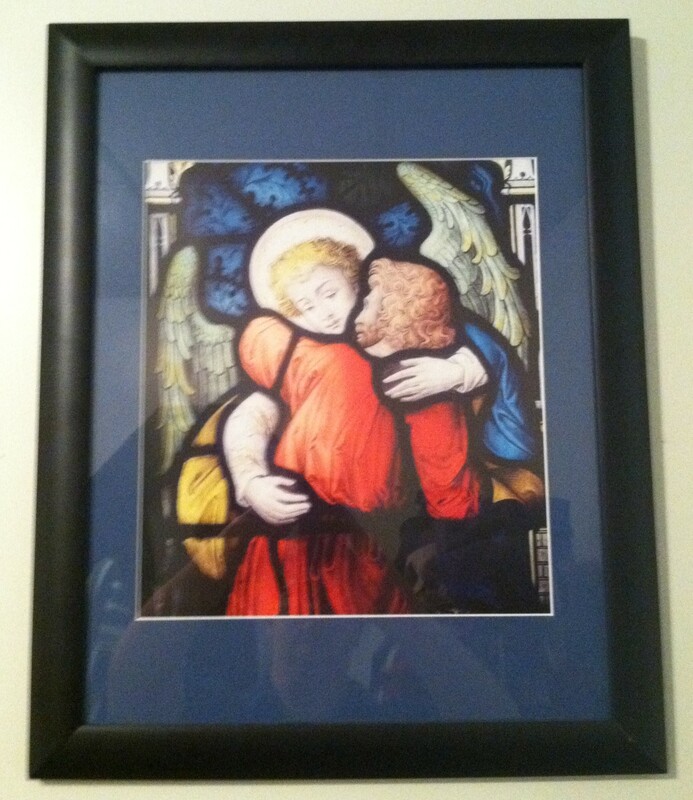 Jacob wrestles with an angel for a night of discernment. The lessons for this Sunday can be found here. I worked most closely with Matthew 13:31-33, 44-52. Parables are always challenging to interpret and today we have 5 of them. What are the links, meanings, and the hope? Saturday is tying everything together and sending the kids home with their parents. Again we started with a brief recap of yesterday afternoon (briefer because everyone was a bit tired). Then we talked about how God loves us and the people where we are sent. This morning we recapped what we talked about and did yesterday. Then we spent some time wondering about why God and Jesus pick these people to do important things. After all, we all have our strengths and weaknesses. Camp sermons are always about interacting with the kids. There is a larger narrative we live in. You can find some of that through my twitter feed (link in the sidebar), or at the Camp’s website, where more information about this week will be up soon. If you’ve never worked at summer camp, you can only begin to understand when I say that it’s like nothing and everything else. My preaching here is very interactive because there are almost 60 kids to get/keep interested. And one of the joys is that the service is just part one of the day. To see other parts of what we are up to, head over to Camp Marshall. As the week progresses we’ll have pictures and hopefully more up there. Also, check out my twitter feed (see the sidebar) for other short updates and the occasional photo. The lessons for this Sunday can be found here. I worked most closely with Song of Songs (or Song of Solomon) 2:8-13, although most of the other readings sneak in a little bit.